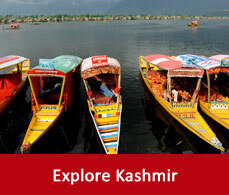 Pahalgam offers diversified beauty in different seasons of the year. 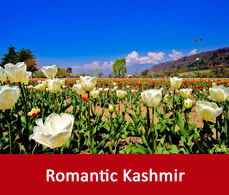 In the winter you can enjoy the white beauty of the snow draping Pahalgam and the summers are blooming. Depending on what you want to do in these seasons a month wise breakup is given so that you can plan your trip accordingly. During March pahalgam enjoys a cool temperature. But April starts with the arrival of Summers. It is the best time for day sightseeing as during that time the Pahalgam temperature ranges between 25 deghree to 11 degreecelsius.It is the peak season for the tourists and is also favourable for the sacred Amarnath yatra. Monsoon prevails during this time span of the year. Though Kashmir receives less rainfall but the Pahalgam weather remains humid. The skies remain clear and many tourists visit during this time as it remains crowded due to the Amarnath yatra and it is also the best time for outdoor activities. With the starting of October winter knocks the door of Pahalgam. As winter arrives the temperature drops down to sub zero level with the blowing of the chilly winds. 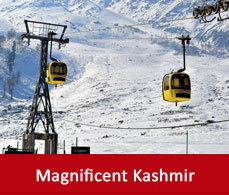 If you love the beauty of snow and snow adventures then this the best season to visit Pahalgam. As the snow falls Pahalgam gets dressed in the white snow.